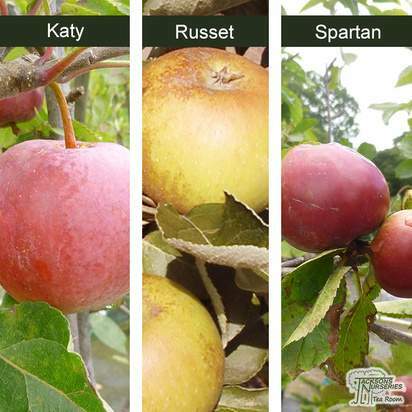 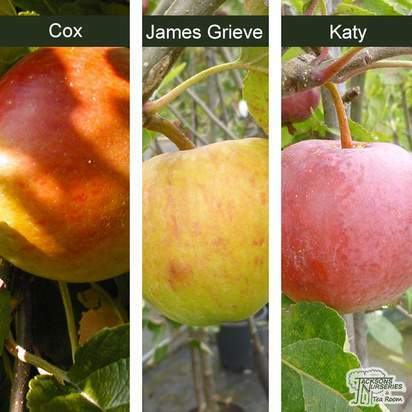 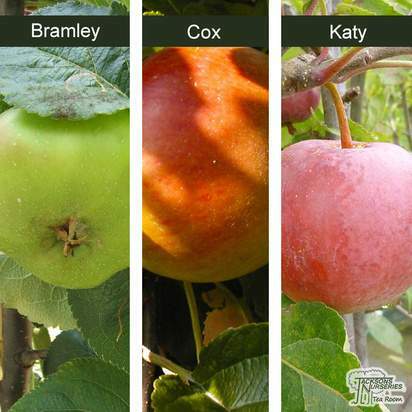 The most commonly planted fruit trees are apple trees, but this doesn't mean you have to follow convention. 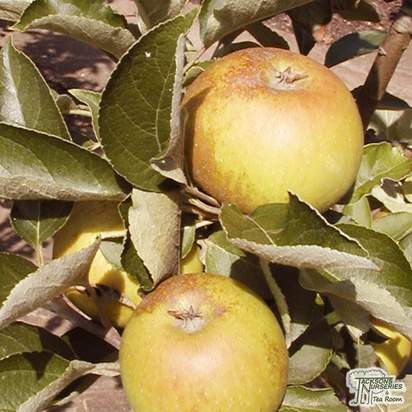 Consider Blueberry Bluecrop, which produces an extremely nutritious fruit with a high vitamin content and antioxidant capacity. 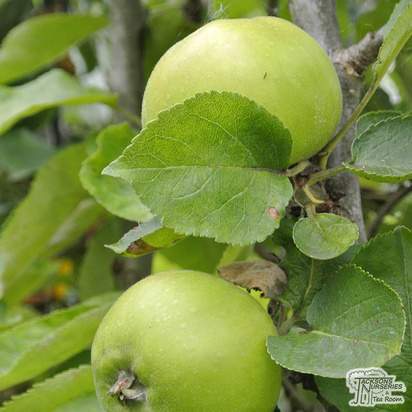 Alternatively, Gooseberry Invicta produces a reliable, abundant crop in late May, whilst redcurrant or whitecurrant bushes are other good choices. 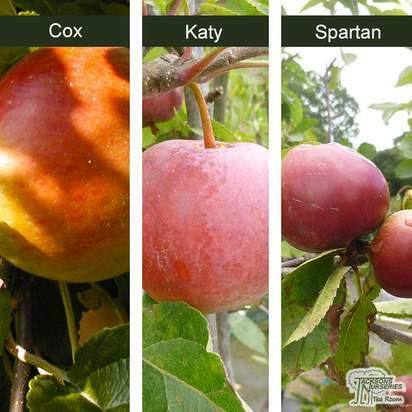 If you're growing fruit for the first time and decide to opt for a staple apple tree, consider an Apple Cox's Orange tree, which produces delicious dessert apples that are ready for picking in October. 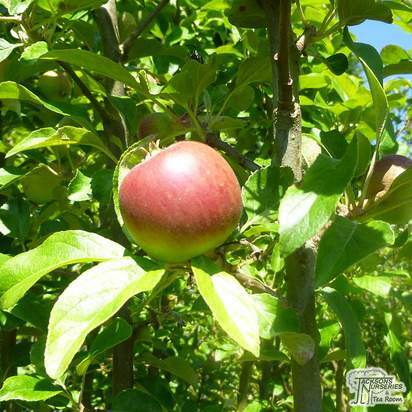 Fruit trees are propagated onto rootstocks, which determine the vigour and eventual size of the tree. 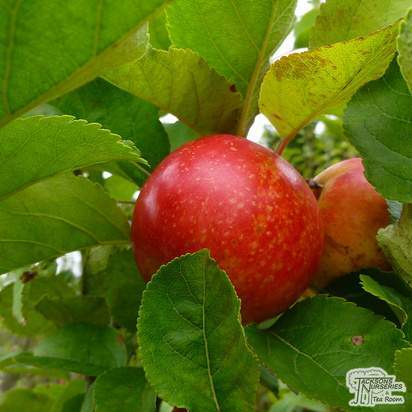 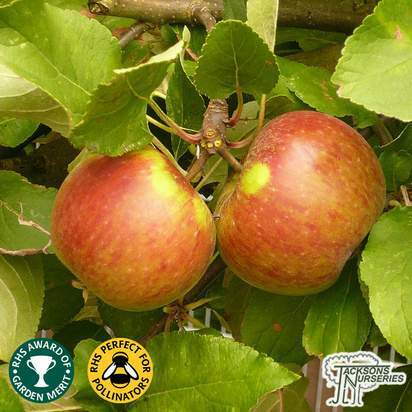 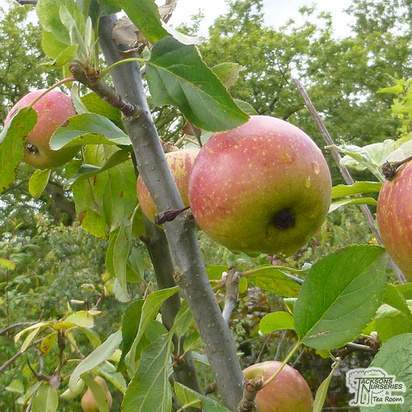 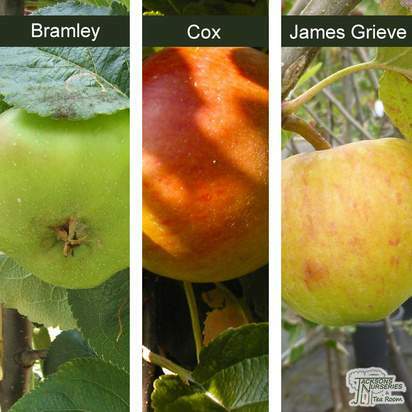 A fruit tree on a dwarf rootstock may grow to just 1.5 metres tall, making it ideal for smaller gardens, whilst the same variety grafted onto a more vigorous rootstock could grow to 6.5 metres - so check the eventual height and spread on the web pages for the plants you are interested in carefully. 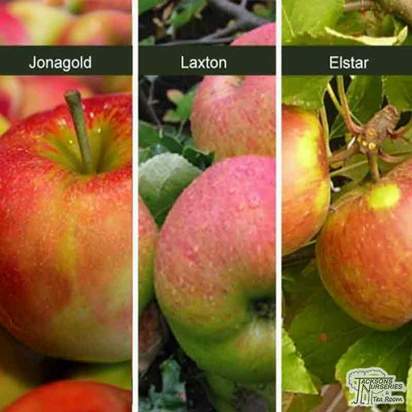 Finally, to ensure good pollination and therefore a good crop, it is necessary to grow 2 or more different varieties from the same pollination group, so be sure to check and match up the pollination groups for the trees you buy (unless your selection is self-pollinating, in which case no other pollinator is required).